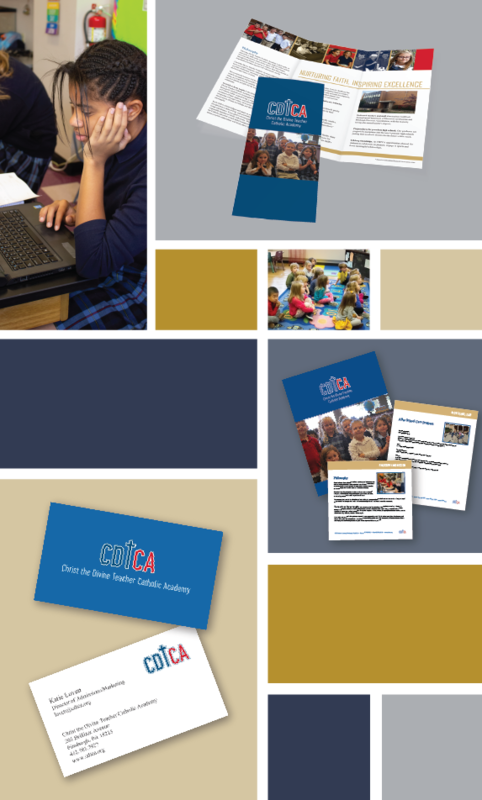 Christ the Divine Teacher Catholic Academy is a branch of North Hills Regional Catholic Elementary Schools located in Aspinwall, PA. CDTCA strives to provide a Catholic educational program for students enrolled in grades pre-kindergarten through eight. 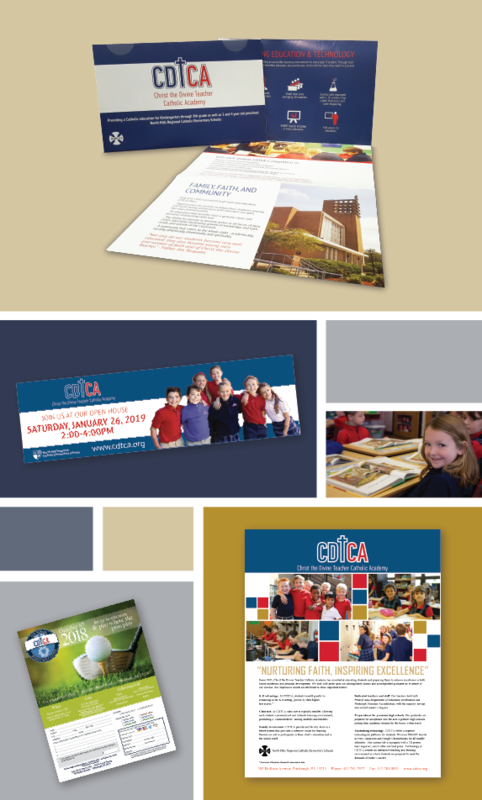 CDTCA needed to update their brand in order to compete with other regional private schools. First, they wanted to update their digital presence. TMI developed a custom WordPress theme to make it easier for staff to update the content and allow teachers to provide students’ current class information to parents on a daily basis. The look of the site was also carried over to the school’s Facebook page. After the digital presence was underway, the school’s admissions materials were updated to reflect the clean look of the website. A complete materials package was created to promote the aspects of the school and the community. Services Implemented: Web Development, Graphic Design, Brand Identity, and Social Media. The fresh look has received great praise from faculty, staff, and most importantly, the students and parents of the school. The new admissions package has helped streamline procedures and given the school a good first impression with prospective families. "TMI's top-notch team understood our vision, translated it into a user-friendly site and brought it to life."